 We are so glad to have you as part of the Christ Lutheran School family! We would like to provide you with the following information to help you begin the new school year. The first bell rings at 8:15. We ask that all students in first grade and above report directly to the gymnasium where they will be dismissed to their classrooms when the second bell rings at 8:22. Pre-K and Kindergarten may report directly to their classrooms. Our third bell rings at 8:30, after which students will be marked as tardy. Please make prompt attendance your priority! We gather for chapel on Wednesday mornings at 8:45am. This is our time to worship together, and our chapels are led by pastors of the Lutheran Church – Missouri Synod. Guests are always welcome to join the students during chapel! Parents have the option to receive the Eagle’s Nest, sports and booster events, lunch menus, lunch and Early-In-Late-Out billing, and more by email or the Big Brown Envelope (BBE). The BBEs are distributed each Tuesday and are to be returned each week empty. Community fliers are available in the annex. The school is governed by a board of directors that consist of parents, community members and a pastoral advisor. The monthly meeting times are noted in the school calendar. If you want to communicate with the Board of Directors, you may notify the school administrator, and she/he will bring it to the board in open forum that occurs at the beginning of each meeting. The Boosters organization is our parent organization whose sole purpose is to help keep tuition costs down. Boosters helps to promote fellowship and school spirit throughout the community. Booster bylaws are available at registration or can be obtained through the school office. Click here for more information on the CLS Boosters. CLS Thrift Shop is located at 607 First Ave. , Rock Falls. Christ Lutheran School operates a donation thrift shop that raises over $75,000 a year for the school. The Thrift Shop is always in need of volunteer workers. Please consider giving the gift of time and volunteer to work at the Thrift Shop and help support this vital part of our existence. No student is to arrive before 7:00am or stay later than 5:30pm. In the case of an emergency, a phone call should be made to the caregiver on duty. Early In fee is $2 per day. Late Out fee is $2 per day until 4:30pm with an additional $1 fee for 4:30-5:30.